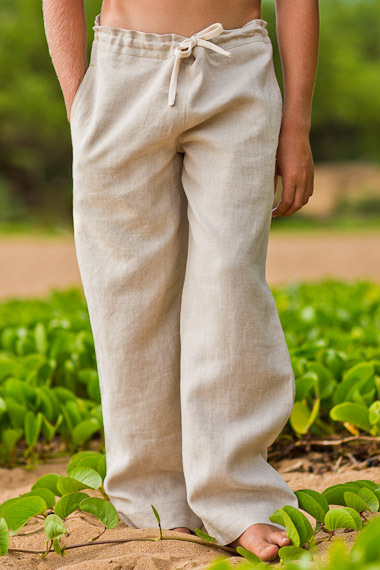 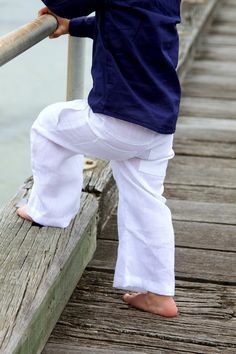 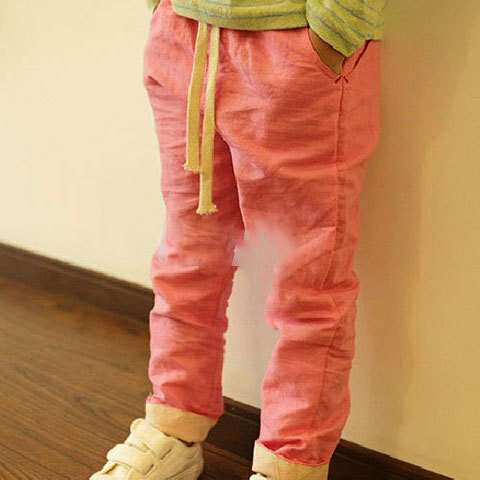 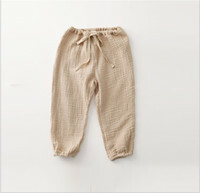 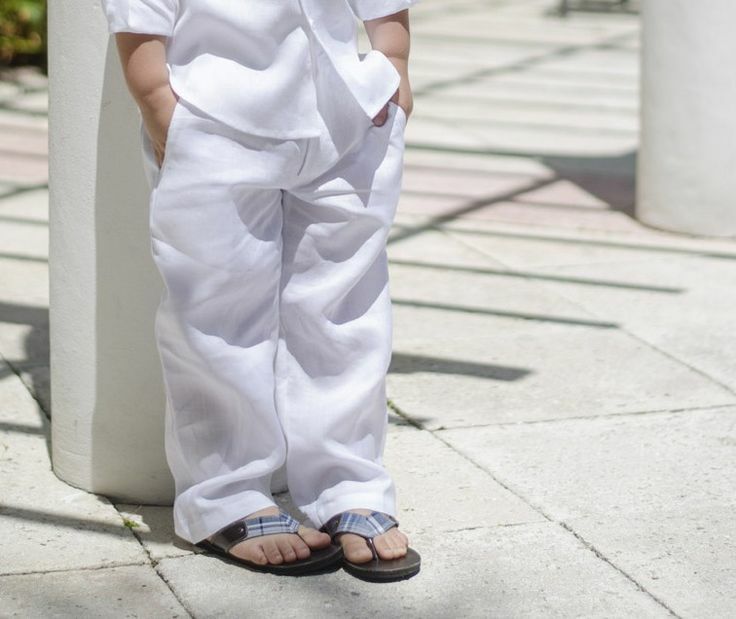 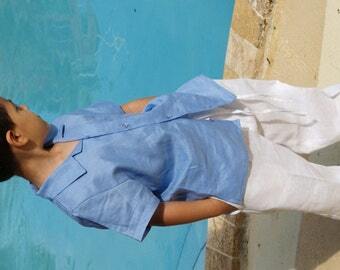 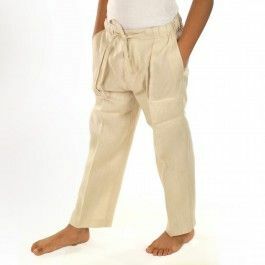 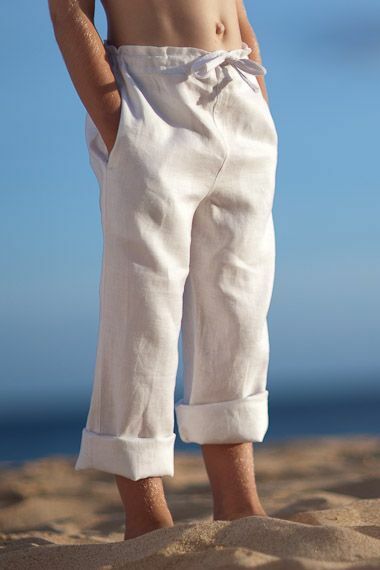 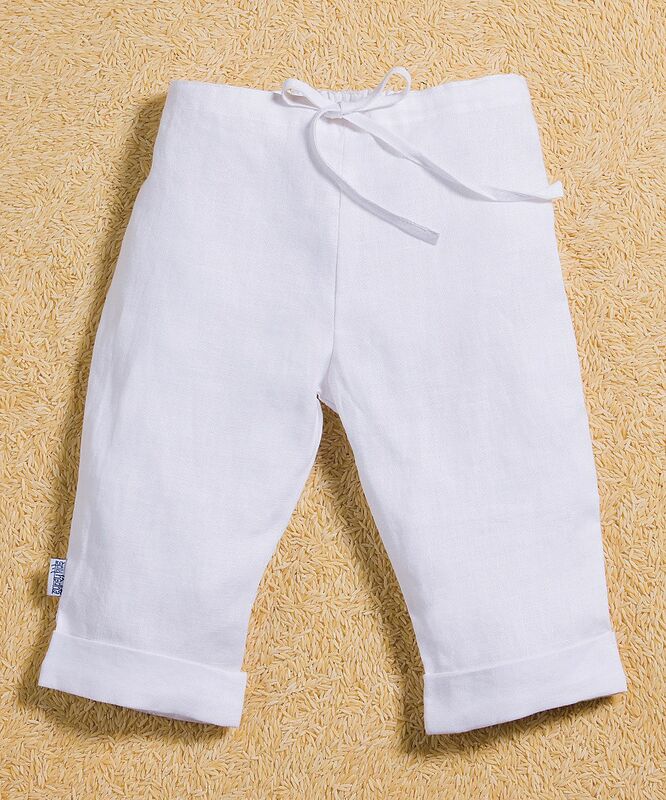 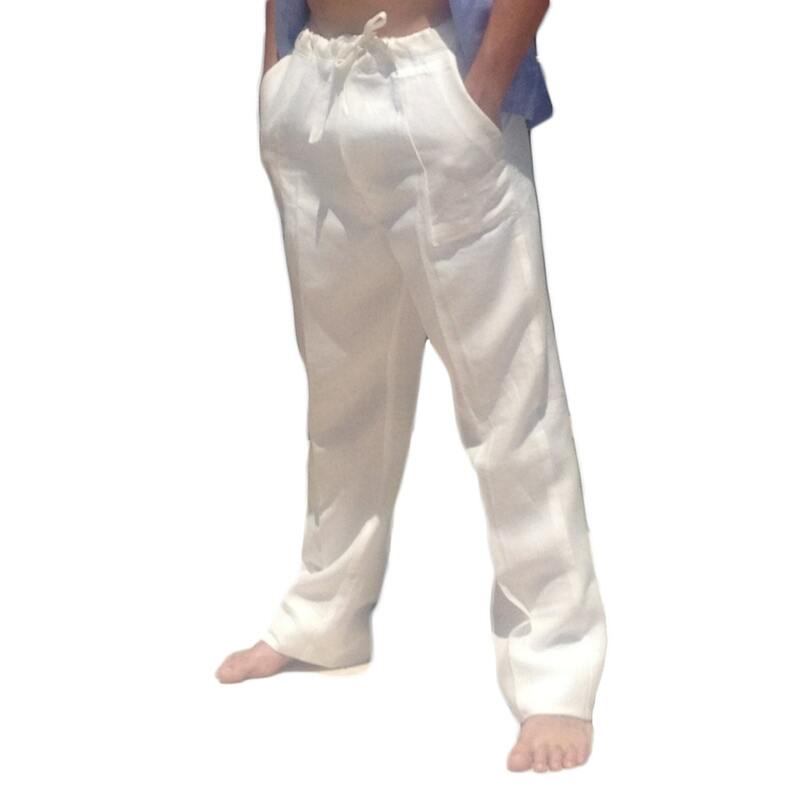 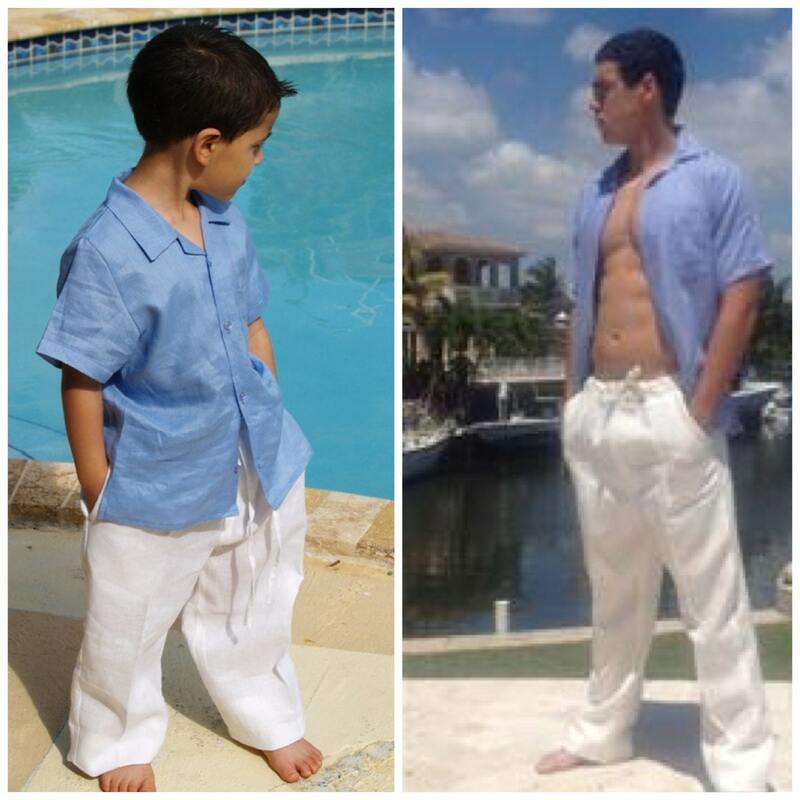 Casual, loose-fitting, drawstring linen Riviera pants for boys. 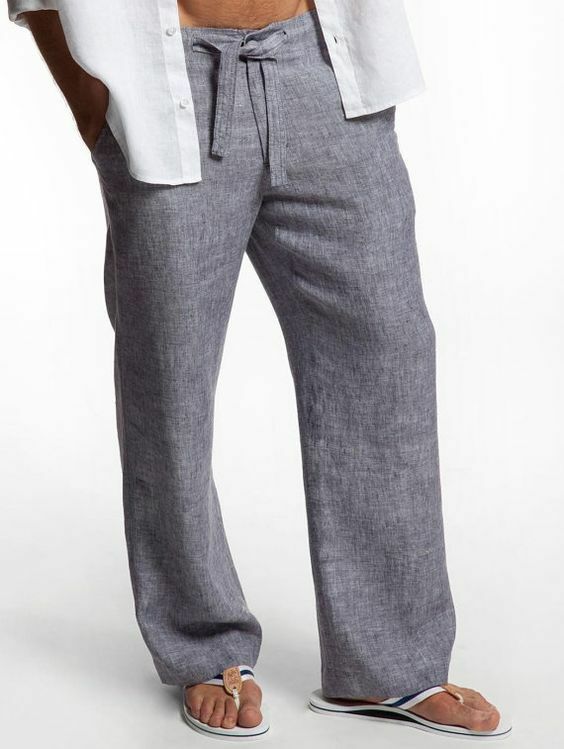 Side and back slit pockets, and cuff detail. 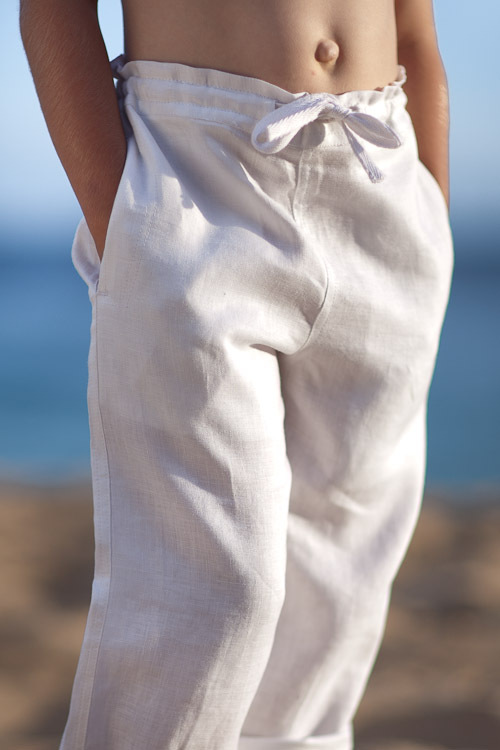 Great beach wedding pants!